In 1964 an Italian director made a black and white film called "The Gospel According to Matthew." The director used all amateur actors and no script except for actual words from Matthew's gospel. There are two scenes from the movie burnt into my memory. The first is the opening scene, where we see a silent Joseph, looking quizzical. 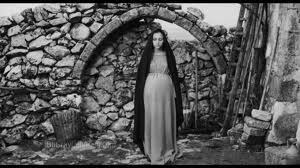 Gradually, the camera begins to include a pregnant Mary and we understand Joseph's look. The second scene I can't forget is the slaughter of the innocents. 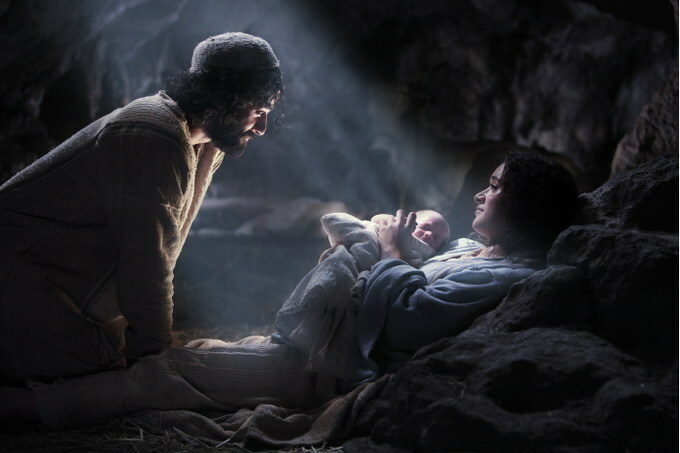 Herod, hearing from the wise men from the East that a king has been born, fearing a threat to his throne, sends his soldiers to kill all the new borns. The depiction in the film is graphic, even though much is left to the imagination. I'm thinking about the slaughter of the innocents, not just in the time of Jesus. I'm recalling how something similar happened with the birth of Moses. Only the quick thinking of some midwives, a mother and sister, and the compassion of Pharaoh's daughter, allowed Moses to live to adulthood. December 28 this past year was the Feast of the Holy Innocents. It's a day when Christians remember the sacrifice of children on the altars of the powerful. This December 28 there were some new innocents to remember. 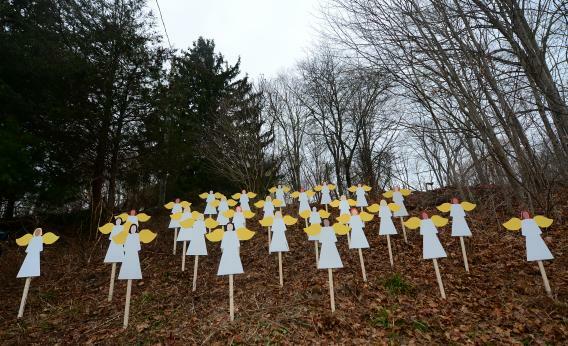 Children at Sandy Hook elementary school have also been sacrificed on the altars of the fearful and powerful. Marian Wright Edelman, in a written response to the Newtown massacre, cites the most recent statistics; 2,694 children and teens were killed by gunfire in 2010. 1,773 were homicides and 67 were elementary school children. Since 1979, when gun deaths were first collected by age, 119,079 children and teens have been killed by gun violence. Edelman writes, we lost 53,402 American lives in World War 1; 47,434 in Vietnam; 33,739 in Korea. She asks, "Where is our anti-war movement to protect children from pervasive gun violence here at home?" She concludes, "This slaughter of innocents happens because we protect guns before children and other human beings." Columbine still sends a chill up my spine. When it happened, I was unable to function for three days. My daughter was teaching in Colorado at the time so that helped bring it close to home. But I'd also been doing trainings in the regions schools in Violence Prevention, Creative Response to Conflict, and Peer Mediation. I knew these events didn't need to happen. Schools could actively engage in prevention and if all else failed, preparation. But here we are in the second decade of the 21st. century faced with similar circumstances to the times of Moses and Jesus. The rulers are afraid. Ours are not named Pharaoh or Herod. They have other names. They serve other powerful interests. They produce weapons of war for the domestic market. They produce simulation games meant to train warriors for everyone's children. They cut funding for the care of the mentally ill. They drain education budgets dry so troubled children go begging. They sell security systems and swat team paraphernalia and military hardware for police and first responders. They perpetuate a climate of violence and fear that gets embedded in the culture and in a world wide military presence with all manner of lethality. And they profit from war big time, right here at home. They are executioners of the innocents. Marian Edelman has a few sensible beginning suggestions in light of Newtown to protect the innocent: (1) End the gun show loophole that allows private dealers to sell guns without a license and avoid required background checks; (2) Reinstate the assault weapons ban that expired in 2004; (3) Require consumer safety standards for all guns. Eventually we have to come to terms with the corporations and political policies that are shaping our economy, our attitudes, our habits, our politics, our culture and our children. I'm worried that there's little available room in America at Christmas anymore for pregnant women and children of promise. I'm worried that there are too many powerful and fearful people in the country, who only feel safe with a gun in their hand and weapons profits in their pocket. I'm worried that travelers and the homeless will be seen as outsiders as others are behind closed doors with automatic weapons. I just doubt there will be any room in the inn. Still, I'm hoping that some one will hear or heed Joyce Kilmer's poem; the one my father read every Christmas eve in church, and once, even let me read. The night Our Lady came. A glory round his head. And find their Passage barred. To you across the snow. And helped her to alight. What if your yard be narrow? What if your house be small? 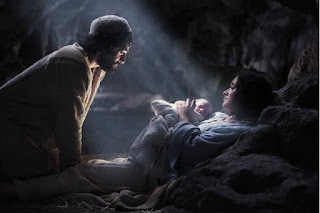 Wherein his Lord was born. Gave him His hand to kiss. The cradle of a King.